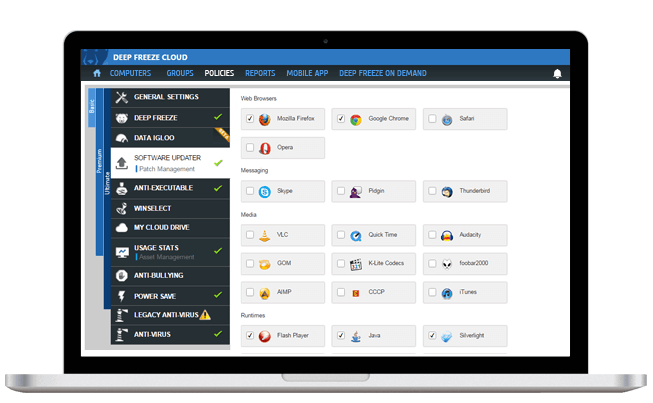 Deep Freeze MDM allows you to manage Chromebook, iOS and Android based mobile devices, such as smartphones and tablets to ensure users stay productive and adhere to the organization's policies. Flexible onboarding process with a number of curated enrollment options. Group and settings provide a comprehensive suite for a wide range of device provisioning needs. 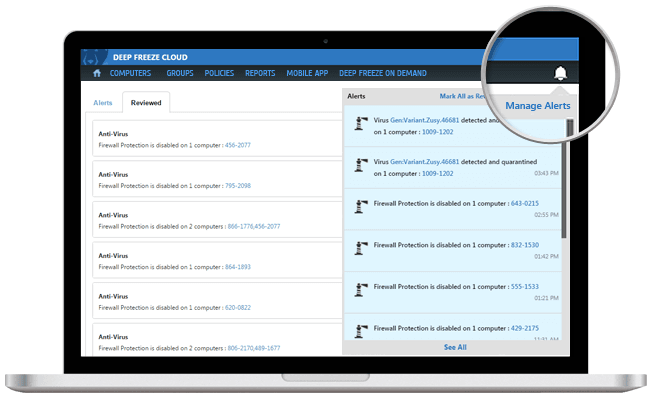 Deployed policies and changes are applied seamlessly from the cloud, across thousands of devices at once, helping organizations protect mobile devices over the air. Comprehensive application management requires control, distribution, and visibility over not just apps but also licensing and inventory as well. Bring Your Own Device (BYOD) programs can be easily managed while adhering to strict usage requirements of user owned devices. Start monitoring managed devices as soon as they get enrolled. Gather location information from the device’s GPS, down to street-level accuracy. Easy EnrollmentEnroll your iOS, Android or Chromebook device quickly. Allow for self enrollment in case of BYOD. Restrict Network AccessRestrict Bluetooth, Wi-Fi Direct (SAFE V2+), MDM provisioned Wi-Fi and VPN configurations. 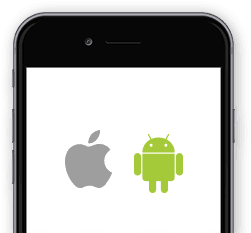 Remotely Push AppsInstall apps remotely from Google Play Store or Apple App Store across all your mobile devices. Remotely Lock/ Unlock DevicesRemotely lock/ unlock devices easily in case devices are stolen/ compromised. 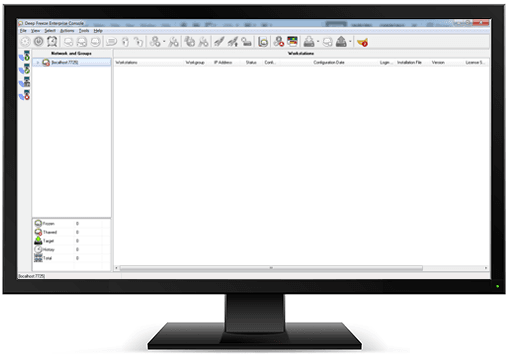 Restrict Device FunctionalityOver 30 device restriction options like restricting use of camera, mic, external storage connectivity, screen capture and much more. Remote WipeRetired/ lost devices can be wiped remotely to ensure data security is not compromised in the wrong hands. Create Device GroupsCreate groups for multiple mobile devices. Deploy apps, settings and restrictions to all devices within the group. Send Messages to DevicesRemotely send messages to selected devices from the cloud-based console. 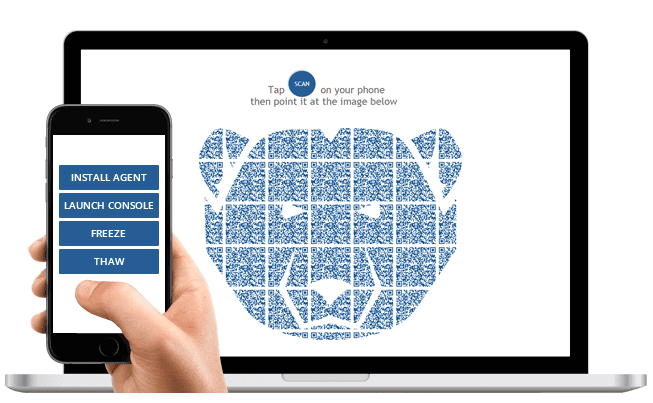 Facilitate engagement with your students, future students and alumni via a sleek mobile app that provides them with all the information they need. Inform students on the latest campus updates via articles and docs. Broadcast important alerts that need immediate attention. Keep students in the know about events at your institute by sharing a calendar. List the courses offered at your campus and allow students to search for their desired courses. Share detailed profiles of your staff so students can become familiar with their instructors. Display your marketing collateral in an easy-to-view PDF format. Anonymously report adverse incidents so that authorities can take the appropriate action. Make it easy for your students to contact your campus by sharing addresses, websites and phone numbers. 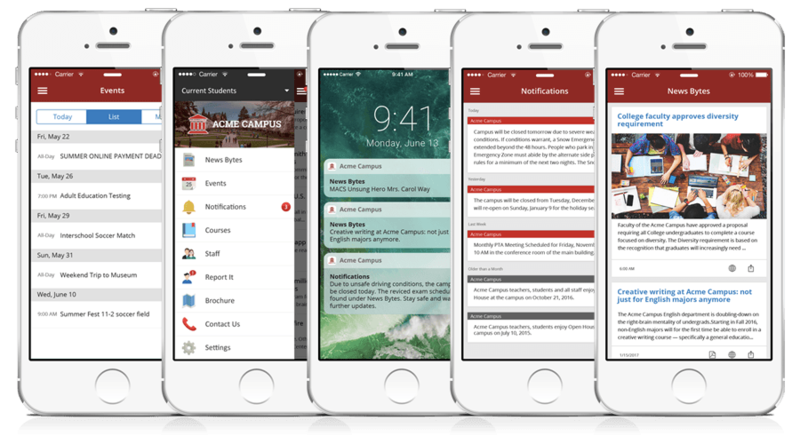 All your institute's information, in one mobile app. 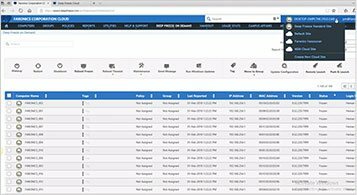 No more outdated information about your institute – update content frequently and with ease! 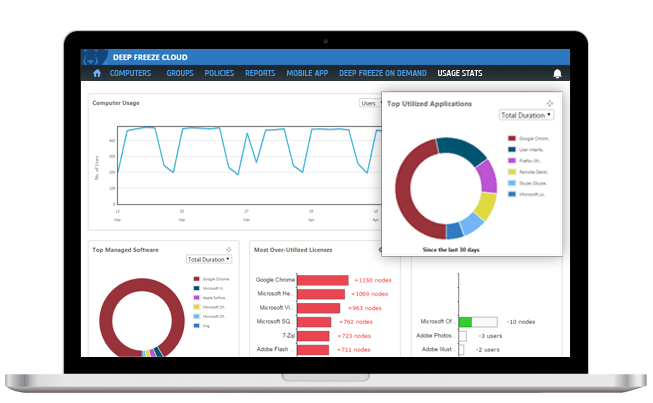 Unlock all the cloud feature with Deep Freeze Cloud Connector. 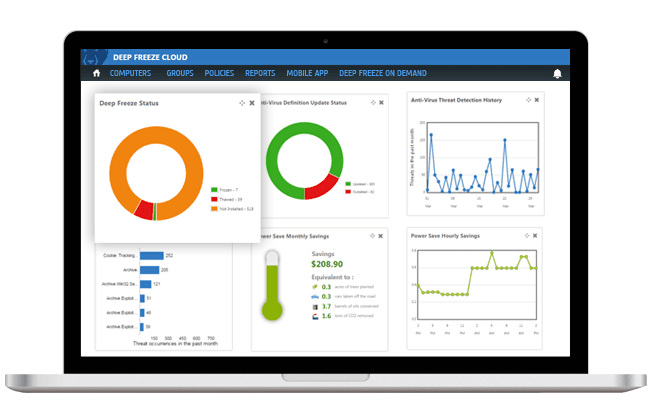 Deep Freeze Cloud Connector is a web-based, add-on subscription service for existing Deep Freeze Enterprise customers enabling them to centrally manage, update and secure all Deep Freeze workstations from any location using a web browser, seamlessly integrating with their existing Deep Freeze Enterprise console in minutes. Manage all computers available under the Computers and Deep Freeze On Demand page from the comfort of your mobile device. Use Deep Freeze Administrator mobile app on your choice of device running iOS or Android. 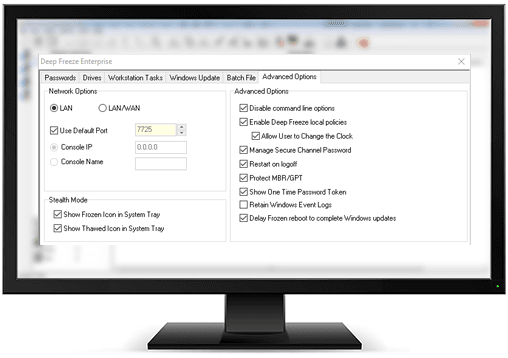 The latest version is loaded with multiple enhancement to help you manage your IT environment even better. Deep Freeze Enterprise 8.5 includes 15+ new enhancements. 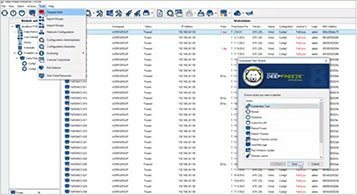 Discover how you can utilize some of the new enhancements that have been added to the latest version of Deep Freeze. Leverage Deep Freeze Enterprise reboot to restore technology to minimize IT helpdesk tickets and increase productivity. A reinstallation of Deep Freeze is no longer needed to add a new ThawSpace - ThawSpaces can be configured at any time and are added on the next Thawed restart. 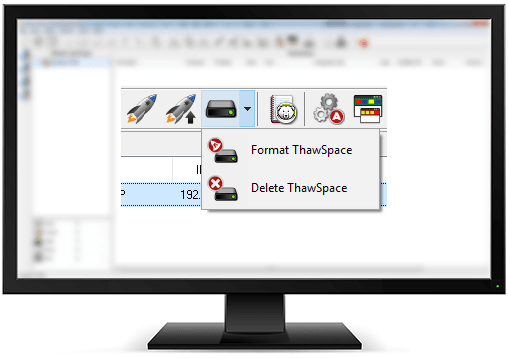 Lookout for a new Delete ThawSpace action from the Console toolbar (in addition to Format ThawSpace). A new DFC switch / Delete ThawSpace has been added as well. Ever forget to Freeze a computer and wonder how long it was Thawed for? You can now specify the length of time after which a Thawed workstation turns red. A new “Thawed For” column is now available to displays how long a workstation was Thawed for. Customers often chain scheduled console tasks like (1) Wake-On-Lan, (2) Send Message, (3) Run Windows Update, (4) Shutdown, so we thought why not provide a new Combination Task? The new Combination Task allows you to create a single Scheduler task to chain up to 5 scheduler tasks so you don’t have to change multiple tasks when the unexpected happens. Customers had to stay after-hours in order to upgrade Deep Freeze on computers - that’s just not acceptable. Moving forward, customers can schedule to upgrade Deep Freeze clients whenever a new version is available. We also added a few more tasks to the console Scheduler, including, Format ThawSpace, Push & Launch, and Remote Launch giving more flexibility to administrators. Retain Windows Event logs simply by enabling a new checkbox added under the Advanced tab. 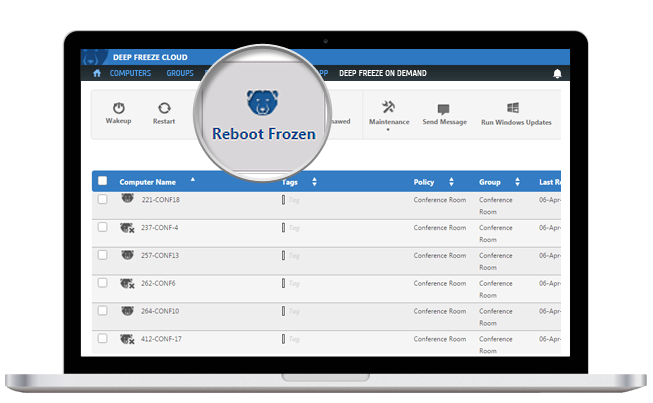 Deep Freeze will allocate 100MB to retain Application, System, Security, and Hardware event logs. Automatically attempt to locally wakeup of the workstation from Standby before scheduled Workstation Task using the new checkbox “Attempt to wake-up locally” option added in the Workstation Tasks. Requires compatible hardware to wakeup from Standby. Some customers requested the ability to Shutdown an idle computer without waiting for the first keyboard and mouse activity - otherwise, the computer may remain on all day. First keyboard and mouse activity is necessary for Idle Time Restart to prevent the computer from constantly being rebooted without activity. You no longer have to name the Deep Freeze configuration after clicking OK. Simply specify the Configuration Name at the bottom of the interface. Users are also provided an option to Export the configuration as an Installer or Seed so first-time users are not confused about next steps. In addition to the "Thawed For" column, we also added a “ThawSpace Free” column which displays available ThawSpaces along with how much free space is available. OS Build numbers are now displayed in OS column. Enterprise Console now displays the last 10 inputs for Send Message, Push & Launch, Remote Launch so Administrators no longer have to keep re-typing the same messages or commands. Moving forward, post v8.5, receive in-console notifications when a new version of Deep Freeze is available. Review the release notes, download the latest installer and automatically upgrade your console. Windows Update cache is now automatically increased to 10GB without requiring a new installation. This version deprecates Enterprise Console support for Windows XP and Server 2003. Our latest version includes over 200 new updates and improvements to enhance your learning environment.